Wolf Brand Scooters got its humble start in Tampa Bay, Florida, almost a decade ago. Now Wolf scooters are being carried across the country in some of the largest scooter shops in the nation. Wolf has become known as the hip scooter company that sells premium affordable scooters, being sold next to top scooter brands, like Genuine and Vespa. Early on, Wolf gained a few dealers of notable mention in the scooter world, making future closes even easier. “We reached a point where we didn’t have to convince dealers anymore. When they saw some of the top scooter dealerships selling Wolf and dominating their local markets, other dealers wanted in on it. The things Hammer has learned from the marketplace over the years are solidly built into Wolf’s operation. 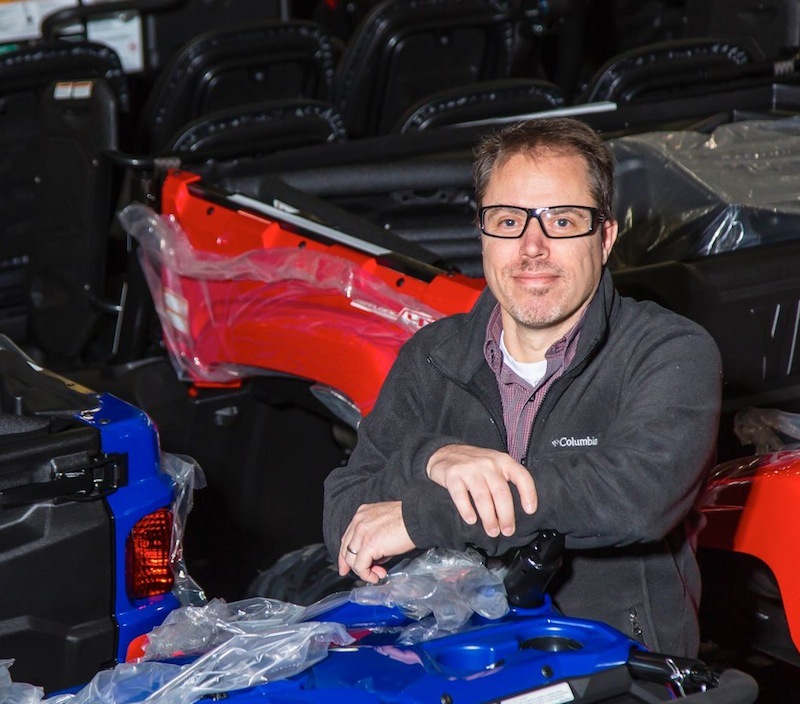 Excellent profit margins for dealers, top-notch tech-support, and a seemingly endless inventory of scooters and parts are some of the reasons why Wolf has become such a popular choice for dealers. Just 30 years old, Hammer learned from her father at a young age that the customer is always right, and that quality is key. Her father is a successful business man who instilled in her the work ethic and business etiquette needed to ensure Wolf’s success. She works to make sure that dealers are always happy and that her product is the best it can be. Her success-no-matter-what attitude has certainly paid off! Wolf Brand’s hipster-cool website showcases their collection of sporty and retro scooter models, lets consumers find local dealers easily, and gives new dealers great incentives by offering things like free shipping on first-time orders while also ensuring dealers a money-back guarantee, based on the certainty that they will love Wolf’s products. sure to see Wolf Scooters everywhere you go. Wolf seems to be the scooter of choice these days, and word travels fast in small towns. Hammer loves helping dealerships grow and is often found giving experienced and helpful advice on what actions make a dealership thrive. After all, she has been working with some of the top scooter dealers in the nation for nearly a decade now. Hammer is currently working on releasing a series of videos this year to share with dealers what actions they can be doing to easily see 20-percent increases in sales within a year. You can reach her via email at [email protected] She would love to hear from you!